This stunning Rochester colonial resting on large corner lot with attached three car garage will certainly impress upon arrival. 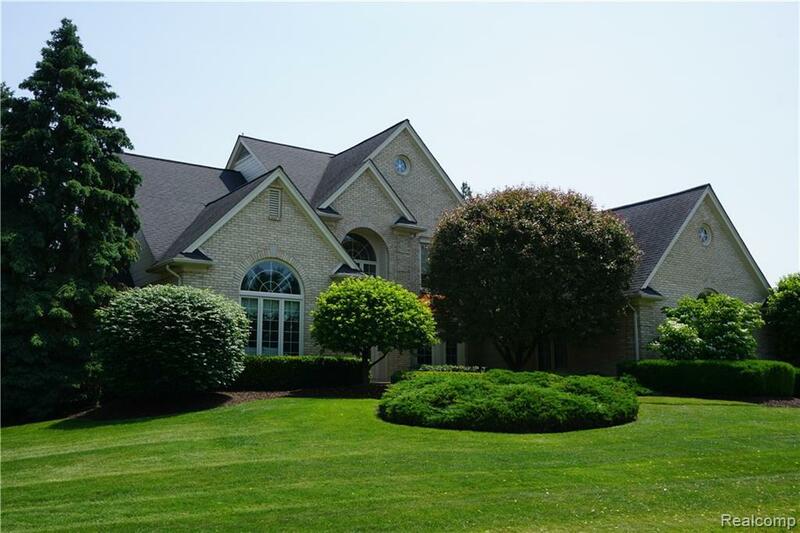 Gorgeous brick greats you as you approach the front entrance of this massive home. The two story foyer and the scoring ceilings in the great room provide you will the open concept and natural light that buyers dream to have today. The gourmet kitchen features a huge island and a great amount of cabinetry for all of your goodies and must haves for your kitchen. The eat in space that opens up to the outside deck and the great room gives you the complete entertainers dream package on the main level. Featuring a hard to find first floor master suite with his/hers closets and huge en suite bath. As you take either of the staircases up you will find 3 additional bedrooms and two more full bathrooms that is perfect for your large family or the overnight guests. Just minutes away from Downtown Rochester this home truly has it all at an amazing price.